Daily Jang Newspaper 06 March 2018 has announced New Jobs in Pakistan International Airlines. 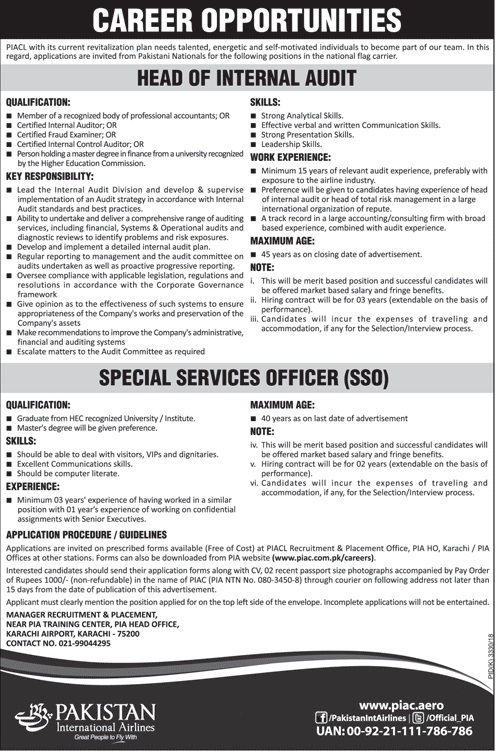 Applications required from Expert Professionals to become a Team Member of Pakistan International Air Lines for the vacant Posts title as Head of Internal Audit and special Services Officer. Interested Candidates may apply for Pakistan International Airlines Jobs 2018 by downloading application form available at regional Offices and also available at www4.piac.com.pk.